St Vincent had a deep faith and trust in God’s providential care for him and for all people, especially the poor. 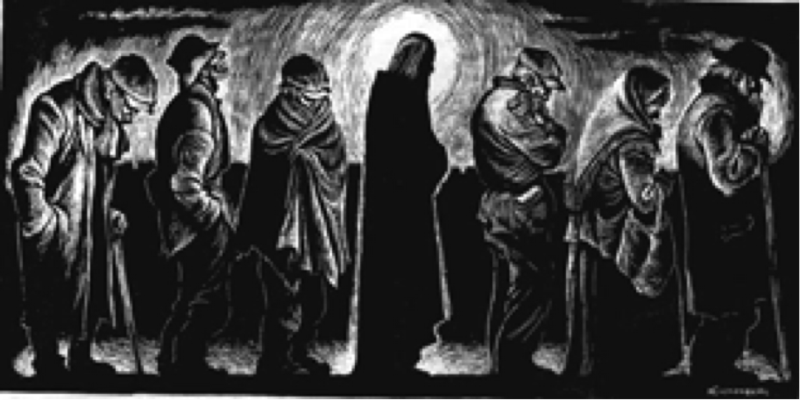 The Christian charity we are called to practice is not giving away to the poor the left-over, our spare time, our extra money, our old clothes, etc. Charity for us must mean giving our best and at times oureverything. Our life must reflect the life of Jesus Christ who has called us to this great vocation of love. Our respect for the dignity of poor persons must lead us to treat them like guests at our family table and not as beggars at our gate, waiting for the crumbs. We believe that the poor have some claim over our time. Much like a subordinate would be deferential to someone of higher authority, we show a deep respect, even devotion, for those who are poor. Our speech is simple. We deny ourselves things and pleasures in order that we might be in solidarity with a poor person; so that they will not feel embarrassed by our presence. We go to them; not them coming to us always. We remain approachable and are kindly disposed when greeting them. We show patience, when persons may be demanding or even angry. We listen attentively to them, and consider first their needs. They must have a say in how they might redirect their lives. Source: “Vincentian Spirituality – VinFormation.” VinFormation. Web. 1 Oct. 2015.